With health care innovation continuously emerging, Atlas Research CEO and President Robin Portman sees great opportunity as the research firm transitions from a Service Disabled Veteran-Owned Small Business to a mid-tier, full-service provider in the federal health research and advisory sector. Atlas Research, founded in 2008, provides services in research and evaluation, human capital and training, organizational transformation, marketing/communications, innovation and modernization, among others, and is now expanding its digital capabilities to include data strategy, management and interoperability. Its largest customer is the Department of Veterans Affairs, though Atlas Research also serves clients in the Department of Health and Human Services and the Defense Health Agency and looks to expand into the Drug and Food Administration, the National Institutes of Health, the Centers for Medicare and Medicaid Services and other operating divisions within HHS. The company has been recognized for its commitment to improving health care, as it zeroes in on identifying and driving health innovations across various enterprises to help address quality, safety and access for veterans, women, and priority populations (e.g. rural, underserved and homeless populations). As the pace of technological innovation in health care never ceases to decelerate, Portman explained this is met with the slow adoption and implementation of new technology into the clinical space, which can take almost two decades on average. Most recently, the company is tackling this disparity between innovation and the reality of technology adoption in health care with its clients across VA and the Veterans Health Administration by helping to create and drive an “innovation ecosystem,” Portman said. 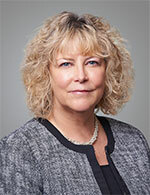 The process is challenging, yet necessary, she explained, as it involves finding new innovations, determining their fit in a particular health care setting with analytics and qualitative research, leveraging the outcomes of those innovations and conducting final performance evaluations to determine success and accuracy. To achieve such an ecosystem, there are considerations: the population the innovation will impact, those involved in its clinical implementation — clinicians, patients, researchers or payers — and the health care setting itself. Innovators, technologists and change agents can help stakeholders understand the innovations better and health care experts and clinicians can translate the innovation into the health care setting and validate its performance, Portman said. This process in particular, Portman noted, will be especially important in areas such as adopting electronic health records, data interoperability across the public and private sector and assessing the application and implementation of artificial intelligence and blockchain in clinical workflow and data management. How does one then successfully foster and incentivize innovation across an enterprise? How can one ensure these practices will proliferate throughout the enterprise and allow for localized differences with these innovations and minimize variability to achieve the best outcome?